Like Middle Eastern cuisine? You’ll love this dazzling side dish of tahini-dressed roasted eggplant rounds, arranged in layers that are lovingly interspersed with fresh parsley. It’s a showstopper, so also consider serving it as a stand-alone appetizer. Hint: If you have leftovers, add the eggplant and tahini dressing to a food processor and purée with an extra splash of lemon juice to make roasted eggplant dip. Preheat the oven to 450°F. Spritz both sides of the eggplant slices with olive oil cooking spray. Sprinkle with ¼ teaspoon salt. Arrange onto a large, unbleached parchment paper-lined baking sheet. Roast in the oven until fully cooked and lightly browned, about 30 minutes, flipping over eggplant rounds about halfway through the roasting process. remaining ⅛ teaspoon salt in a medium bowl or liquid measuring cup. Adjust seasoning. Onto 4 plates or a platter, arrange stacks of 3 eggplant rounds, placing the largest round on the bottom of each stack. Alternatively, fan out the eggplant rounds on a plate rather than stacking them. Position the parsley leaves between the layers, allowing the leaves to peek out. Drizzle with tahini dressing, garnish with the parsley sprigs, and serve warm or at room temperature. One serving: Combine 2 ounces extra-lean, ground, grass-fed beef or lamb with 1 tablespoon each plain fat-free Greek yogurt and grated yellow onion, ½ teaspoon finely chopped fresh mint, and a pinch each of sea salt and freshly ground black pepper. Form into a thin (4-inch diameter) patty. Prepare in a small, nonstick skillet over medium-high heat until done, about 2½ minutes per side, gently flipping over once during the cooking process. Serve one of the eggplant stacks on top of the beef patty or fan the 3 eggplant rounds around the patty. Alternatively, serve the beef patty in place of the center eggplant round—sort of like a hamburger, where the eggplant rounds act somewhat like the bun. Full recipe: Combine 8 ounces extra-lean, ground, grass-fed beef or lamb with ¼ cup each plain fat-free Greek yogurt and grated yellow onion, 2 teaspoons finely chopped fresh mint, and ¼ teaspoon each sea salt and freshly ground black pepper. Form into 4 thin (4-inch diameter) patties. Prepare in a large, nonstick skillet (in batches) over medium-high heat until done, about 2½ minutes per side, gently flipping over once during the cooking process. 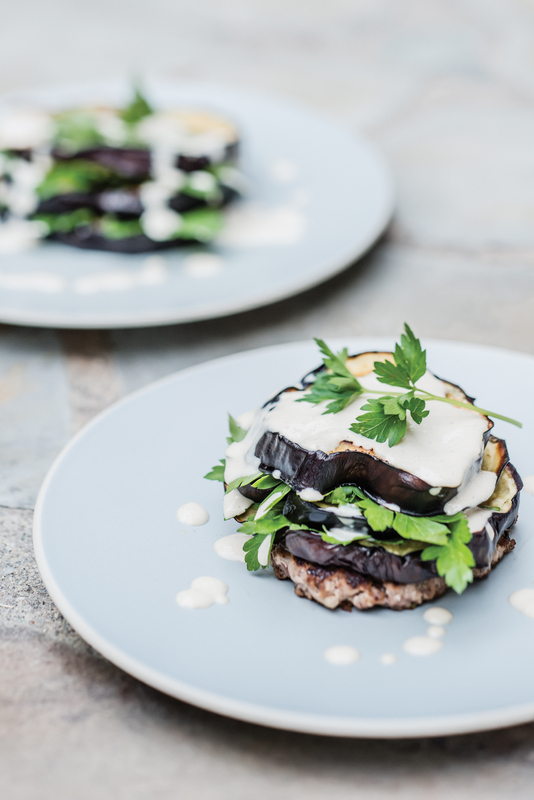 Serve each of the eggplant stacks on top of a beef patty or fan eggplant rounds around the patties. Alternatively, serve a beef patty in place of each center eggplant round—sort of like hamburgers, where the eggplant rounds act somewhat like the buns. Copyright © 2014 by Jacqueline A. Newgent, RDN, CDN. From The With or Without Meat Cookbook. Reprinted with permission from The American Diabetes Association. 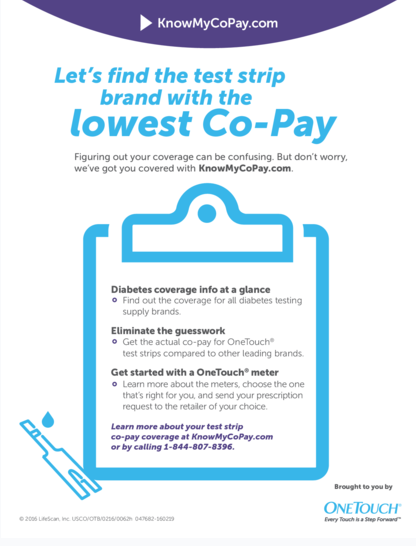 To order this book call 1-800-232-6733 or order online at www.shopdiabetes.org . Jackie Newgent RDN, CDN is a registered dietitian nutritionist and classically-trained chef. With a passion for helping people (including her father) with diabetes, she’s author of The With or Without Meat Cookbook: The Flexible Approach to Flavorful Diabetes Cooking and the award-winning The All‐Natural Diabetes Cookbook, both published by the American Diabetes Association. Jackie is also author of 1,000 Low-Calorie Recipes and Big Green Cookbook. Her next book, The All-Natural Diabetes Cookbook—2nd Edition, arrives in 2015.